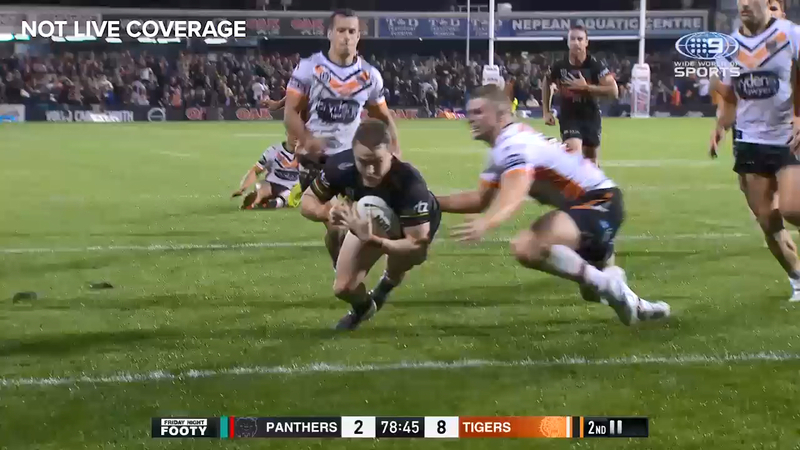 Penrith star Nathan Cleary nailed a 40-metre golden-point field goal to claim a dramatic 9-8 victory, but NRL legend Peter Sterling pointed out an unfortunate irony for Wests Tigers. After the game, Sterling noted that despite Cleary's clutch heroics, it was the Tigers who had the superior kicking game, led by Josh Reynolds. It was a classy display from the former NSW Origin playmaker, who appeared to show up the incumbent Blues pairing of Cleary and James Maloney. 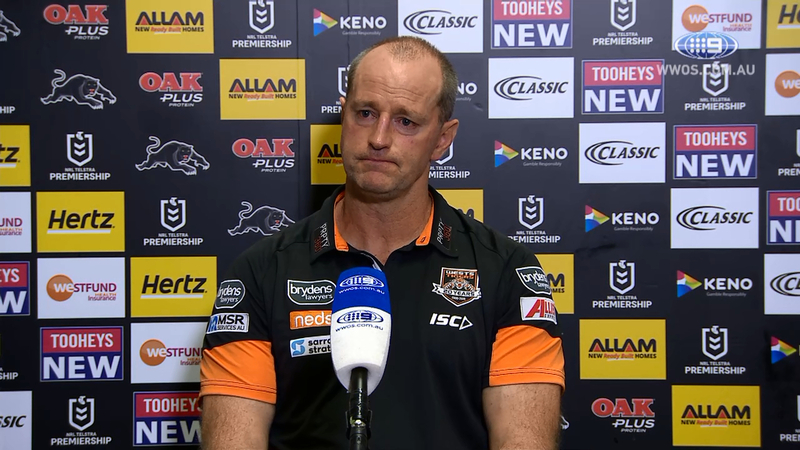 "What I found ironic tonight was I thought the Wests Tigers kicked them [Penrith] off the park tonight," Sterling said. "But in the end, the Josh Reynolds field goal that missed, I think that wins them the game. The missed conversions they were vital, but the Wests Tigers, I thought they kicked beautifully. A couple of tries [off kicks]. "It's a cardinal sin in today's game, where you can't kick the ball dead, and they just got it right. There's an art to kicking it in the field of play and they got that right. " Wests Tigers five-eighth Reynolds put forward his case to retain the No.6 jumper after impressing in their golden-point loss to Penrith. Playing in his first NRL game since last July, Reynolds showed glimpses of being back to his dynamic best by setting up both his team's tries on Friday. And while he missed five tackles, Reynolds also went within a whisker of nailing what could've been a game-sealing field goal late in the match. 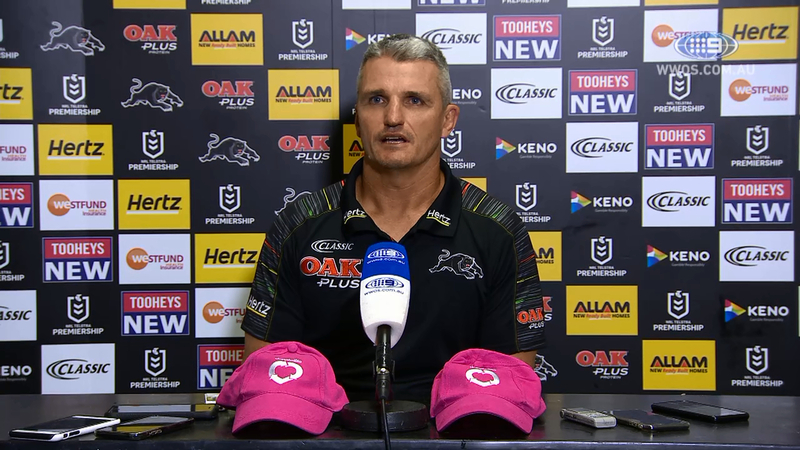 His display could leave coach Michael Maguire with a headache for next week's match against Brisbane, with Benji Marshall a chance to return from injury. "I'll assess that when the time comes," Maguire said. Maguire said it was important Reynolds proved that his body would allow him to string together back-to-back games of football. The former Canterbury star managed just five matches last year. "We spoke about him just going back and playing a couple of reserve grade games and just enjoying playing football. That's one thing he showed," he said. "Unfortunately Benji had that slight strain to his hammy which gave an opportunity and those two work really hard together. "I can imagine down the track, I'll be trying to work out how we can get them into the team." Maguire also hinted he would consider playing either Reynolds or Marshall off the bench after his forwards punched out some major minutes against Penrith. "It's all dependent on your forwards and how you can roll your forwards. That was something there I had to look at in the first few rounds," he said. "Obviously our rotations through the middle and how much time they can play plays a part in how you're going to carry your bench, your impact. "It's one of those ones that when the time comes, I'll assess where we're at. "A number of our forwards are starting to get some really good game time now so it allows me to carry a different bench if need be." And the son of Penrith coach Ivan nailed the sideline conversion before piloting the game-winner to send the 14,002-strong home crowd into raptures. Asked about his emotions when his son kicked the winner, Ivan said: "What do you think? I was pretty stoked. "That doesn't happen every day, and it obviously added to all the theatre of the whole week and the whole build-up that everyone drove. "You've just got to find a way to win sometimes and we did that tonight." 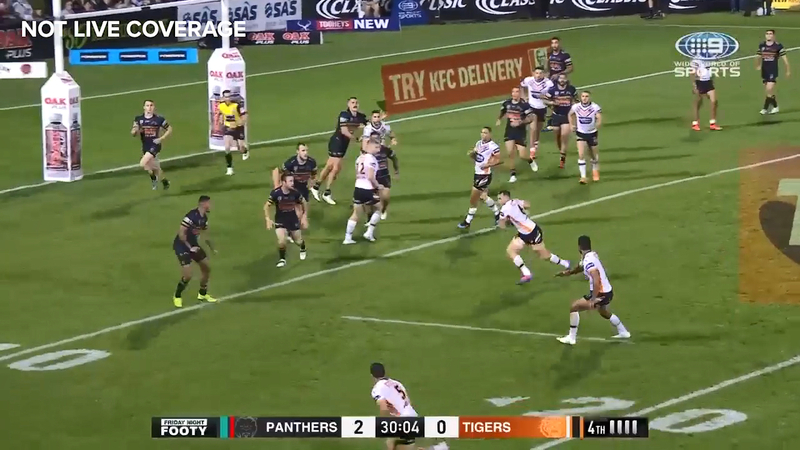 Cleary's field goal came after Tigers halfback Luke Brooks missed two one-point attempts either side of fulltime, including one that scraped the post. The Tigers had problems from the tee, with goalkicker Esan Marsters missing all three of his shots, including a first-half penalty from in front. 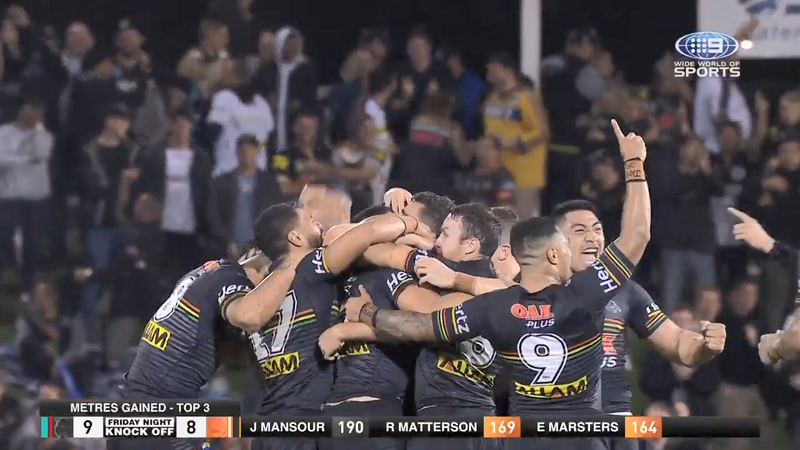 Their problems with the boot initially appeared irrelevant as the Tigers extended Penrith's try-scoring drought to over two matches. But Edwards' try, which came after being shunted to the wing mid-game following another error-riddled performance at fullback, ended the drought at 195 minutes. It was a heart-stopping ending to a dour match that had the Tigers on the brink of claiming revenge over the coach who walked out on them last season. "Our game can be cruel at times," Tigers coach Michael Maguire said. "I was actually really proud of how they played. We've got to learn how to win those clutch moments and we definitely had our opportunities to. "Unfortunately it didn't go our way." 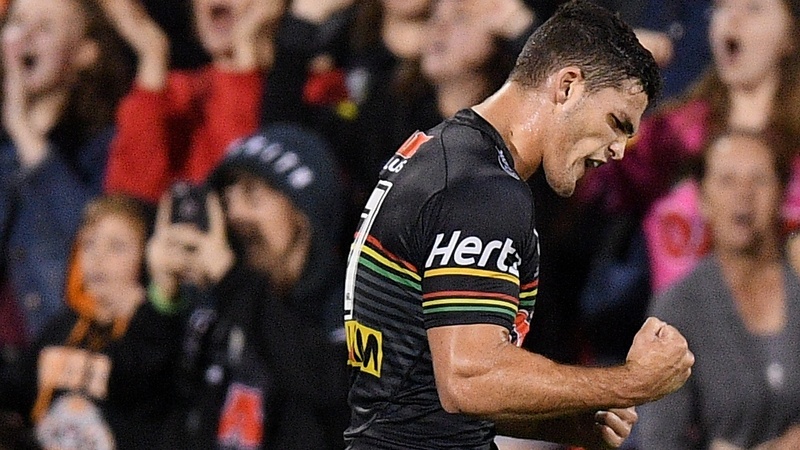 It wasn't all good news for Ivan Cleary, with second-rower Frank Winterstein feared to have suffered a major knee injury minutes into the contest.